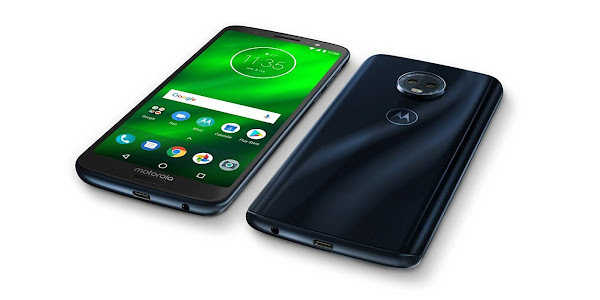 As Black Friday draws closer, we are starting to several smartphone deals, including a recent deal on the popular Motorola Moto G6. Now we find a new deal has popped up on Newegg which lets you get the Moto G6 for just $179.99 with this promo code. The Moto G6 which usually retails for around $250 is already on sale at Newegg for $199.99. You can take an additional $20 off by using the EMCEEPY32 promo code on check out. Just add the phone to your cart, register your email and include the code when you are ready to check out. The Moto G6 features a 5.7 inch FHD display with a 1080 by 2160 pixel resolution which results in a 18:9 aspect ratio, 32GB of internal storage, a (12MP+5MP) dual camera setup in the rear, an 8MP camera in front for selfies and video calls, a 3000 mAh battery, and a Snapdragon 450 processor with 3GB of RAM. The device has a P2i nanocoating that keeps it safe from light rain and liquid splashes. The Android Oreo platform comes pre-installed on this device.